Spoilers ahead for “Winterfell,” episode 1 ofGame of Thrones, season 8. InGame of Thrones’ season 8 premiere, Arya Stark reunites with her crush, Gendry, who’s also a blacksmith, and asks him to make her a mysterious new weapon. 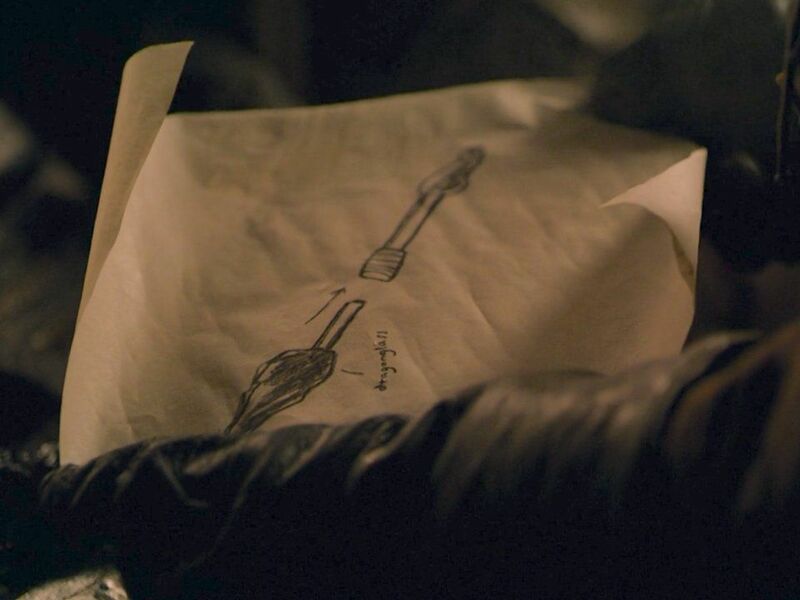 We only get a quick look at a design she’s drawn, but there are a few clues from Arya’s past about what the weapon could be. Presumably, the new weapon Arya is commissioning from Gendry will help her face off against White Walkers from a safer distance, rather than having to get up close to stab them with her Valyrian dagger. We can see from the schematics that part of the weapon is made of dragonglass, a material that kills White Walkersandwights. It also looks like the dragonglass part is detachable and can be fitted inside a longer staff-like weapon, either with a hilt on the other end, or another stabby part.